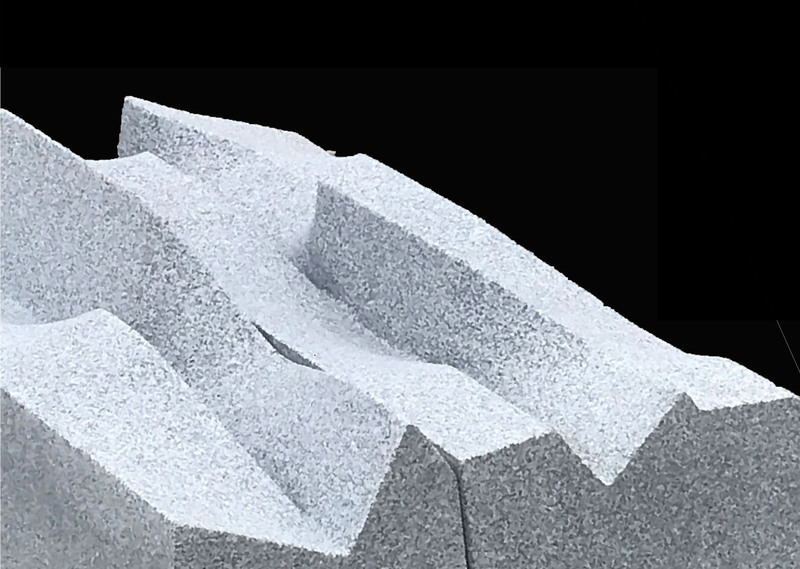 The OnSite exhibition presents sculptural fragments of a memorial designed for New Zealand by MPdL Studio. The stones on view are prototypes, exploring the robotic fabrication process that will be used in the creation of the final work. Mónica Ponce de León is an Architect and the Dean of the School of Architecture at Princeton University. She is the recipient of various prestigious honors, including the Smithsonian’s Cooper Hewett National Design Award in Architecture, the National Academy of Arts and Letters Award in Architecture, and the AIA prestigious Committee on the environment award by the American Institute of Architects, among others. Ponce de León has also been named a United States Artist Fellow and elected to the National Academy of Design.